MANILA, Philippines — Vice President Leni Robredo has officially filed her letter of resignation from President Rodrigo Duterte's Cabinet due to "differences." On Sunday, Robredo received a text message from Cabinet Secretary Leoncio Evasco Jr. stating that the president has ordered her to not to attend Cabinet meetings starting December 5. In her resignation letter, Robredo stressed that she has exerted all effort to put aside their differences and maintain a professional working relationship with Duterte. "However, your directive for me to 'desist from attending all Cabinet meetings' has effectively made it impossible for me to do my job. Remaining in your Cabinet has become untenable," Robredo told the president in her letter. Resignation letter of Vice President Leni Robredo from the Cabinet of President Rodrigo Duterte, as released by her office. The vice president noted that she accepted the appointment as chairperson of the Housing and Urban Development Coordinating Council given their "shared commitment to the poor and the marginalized." Robredo is tendering her resignation as Housing czar effective immediately. 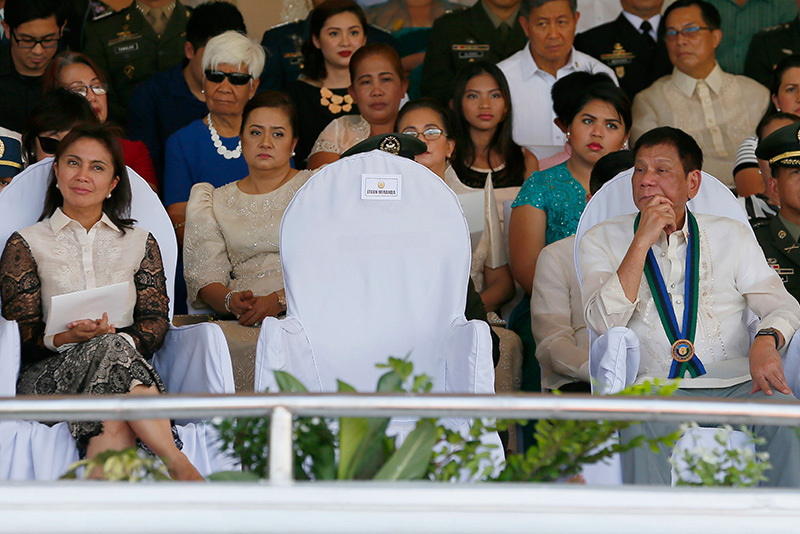 Communications Secretary Martin Andanar has noted that Robredo's recent statement against the burial of ousted dictator Ferdinand Marcos at the Libingan ng mga Bayani and the spate of extrajudicial killings of drug suspects might have been factors why the president asked her to stop attending Cabinet meetings. "It's possible that the burial of the former President Marcos is one of the issues that the president had to contend with... because if we go back to the statements of the vice president and her statements ran contrary to the statements of the president with regard to the burial of former president," Andanar said in a telephone interview with ANC's Headstart. Robredo had also condemned the spate of extrajudicial killings and has asked authorities to investigate the cases. The vice president has also been consistent in her opposition to issues including the reimposition of the death penalty, lowering the age of criminal liability and sexual attacks against women. "However, as your duly elected Vice President, I will not allow the Vice Presidency to be stolen. I will not allow the will of the people to be thwarted. I will continue to serve the Filipino family and fulfill their dream for a better life," Robredo said in a statement released Sunday.